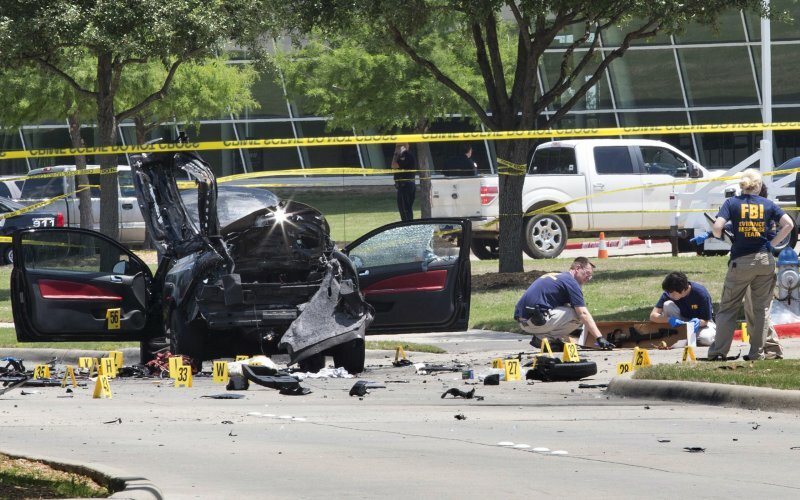 In the year leading up to the Garland, Texas shooting Understanding the Threat (UTT) briefed Arizona law enforcement officials about the threat posed by the jihadi Islamic Community Center of Phoenix – the place from which the two Islamic jihadis originated. 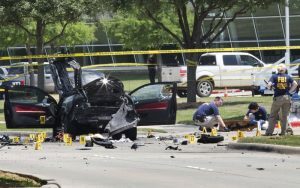 For the last several years, UTT has been briefing and speaking about the threat from Hamas’ Islamic Center of Irving (Texas) where the “Clock Boy” operation was hatched and executed targeting the Mayor of Irving. One week prior to the attacks in Brussels in a UTT training program for law enforcement, UTT briefed that the most dangerous city in Europe was Brussels, and detailed why that was for all the students. Yet, the U.S. government and the majority of the media continue to state they cannot identify any connection between the attacks of 9/11/01, the Fort Hood (TX) shootings, the Boston Marathon bombers, the San Bernadino shooters, and the dozens of other jihadi attacks in the United States in the last fifteen years. Newsflash: The commonality between all of these assailants is that they are all Sharia adherent Muslims – ie they are JIHADIS. When Sharia is understood, the entire global Islamic threat comes into perfect clarity. To read more about UTT’s predictions for 2016, click HERE. For more information about the threat, please go to www.UnderstandingtheThreat.com. With respect to Islam’s blundering tactical leaks out of Chicago (during the Muslim-American Society’s 2015 convention) the Muslim-Brotherhood should be put on notice that a first-step response to any such attack on American soil will be augmented by an ensuing demolition of one-hundred mosques, followed by one-hundred more for each similar foray, either by ISIS or others. The mobilization of U.S. contextual power comprised at least of the following resources, therefore, under joint supervision of Commanding General & Chief of the U.S. Army Corp of Engineers, Thomas R. Bostic (Building Demolition) and Commandant of the Marine Corps, General Robert B. Neller (Marine urban-combat teams) should be readied and held in abeyance pending immediate deployment. Islam is a subversive political ideology mixed with a cruel and barbaric religion that has never been able to escape from its 7th century doctrines that God hates all but muslims, that God wants muslims to wage jihad until Islam dominates the world and all non muslims still alive are slaves or second class citizens, that muslims who leave Islam should be killed, that those who insult Mohammed or islam should be killed, that muslims should lie to non muslims and break agreements with them to advance islam, and that women should be second class citizens dominated by men. Since it is the ideas of Islam that are evil, it is those ideas we must fight. Islam cannot be appeased, contrary to what many good heated churchmen who are ignorant of what Islam teaches may think. We should recognize and declare that islam is subversive and seeks to destroy our constitutional rights and our freedoms. And we should adopt a constitutional amendment that says that since islam is a subversive political ideology, islam will not be regarded or treated as a religion within the meaning of the constitution and laws of the U S or any state or possession thereof and that shariah law will not be recognized or enforced in the U S or any state or possession thereof. We would thus end the tax exemptions of islam , which is good, since sharia calls for a percentage of muslim charity to go to fund jihad, and we would deprive Islam of the claims of religious discrimination that it makes whenever its efforts to impose shariah law are resisted. And we would set free from fears of being murdered as apostates all the good heated people who are muslims and who want to leave that ideology and adopt a peacful attitude and assimilate into American society. Unless and until we do adopt such an amendment or get court rulings holding that Islam is not entitled to the protections given a religion, the followers of basic Islam who wish to destroy us and our freedoms will continue to advance their subversive ideology and sharia law by means of freedoms that were never intended to be put to such use. I am anxious to hear your take on John Brennan’s recent statement that the CIA will never again water board a terror suspect, even if ordered to do so by a future US President. Since many Americans are oblivious to the fact that CIA Director John Brennan is a convert to Islam, isn’t Brennan allowing his “slip to show” when the terror suspects would undoubtedly be Muslims? Has John Brennan’s conversion to Islam now dictating the course of our anti-jihad tactics? John K, Mr. Brennan has made clear his direct support for known Muslim Brotherhood/Hamas organizations and leaders (eg ISNA, MPAC, et al). To think he might defend the founding principles and the rule of law of the United States is folly. He has a legal duty to know the enemy. His actions demonstrate he either does not or, if he does, he continues to aiding and abetting them with the knowledge they are hostile to the U.S. – which is called “treason” in some circles.